Interest in Family History is growing fast, fuelled by programmes like the BBC’s “Who Do You Think You Are?” and the quantity and quality of information becoming available so easily online. Family trees traditionally include names, places, dates, copies of certificates and some photos. Our understanding and enjoyment of family history can really be brought alive by moving pictures. The very first moving pictures were in the 1860s, with cameras developed in the 1880s. 8mm cine film appeared in the 1930s and Super 8 cine film in the 1960s. Video Cameras with tape were only available to consumers in the 1970s, especially with the popular VHS format in 1976. The 1980s saw lots of different formats like VHS-C (1982), Video8 (1985), S-VHS-C (1987) and Hi8 (1988). Digital video tapes came along in 1995 with DV tapes, which was followed by DVD based formats and then HD camcorders with hard disc drive and flash memory based storage systems. Many of these formats, particularly video tapes, degrade from the day they were filmed, particularly if they are not stored correctly. They lose their quality over the years and eventually become unplayable. It is therefore important to get precious memories digitised as soon as possible so they can be enjoyed, shared and uploaded to the internet to help bring family history alive. 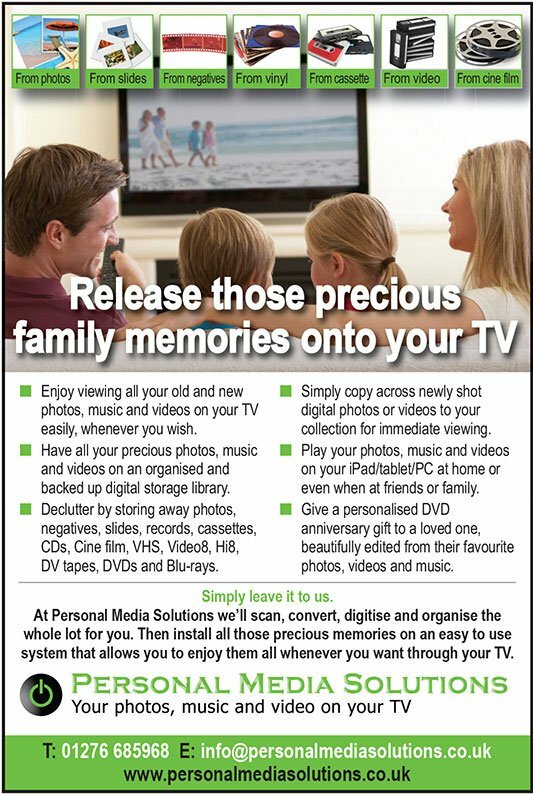 Did you know that Personal Media Solutions can digitise from the negatives of your precious family photos. Using these to digitise your memories means that you do not have to find all your photos, take them out of albums. Also, sometimes the physical photos have been lost or damaged. Personal Media Solutions can scan your negatives at a resolution high enough to produce a great looking picture on your large flat screen TV at home. The negatives are the small transparent film strips that you would have got back from the developers when you sent your old films off.